Edward Groce’s influence as a Suffolk County police officer goes further than just keeping his community safe. Groce, a 16-year veteran of the department, said being a role model, a mentor and making law enforcement approachable and reachable to kids are also part of his job. His efforts earned him an honor alongside six other Islip residents recognized by the town during its Black History Month celebration in February. The importance of Black History Month and his recognition by the town are centered on the message it sends to minority children, he said. Groce is one of 66 black officers out of the department's 2,521 sworn officers, according to department statistics reported in January. There are 253 Hispanic officers in the department. 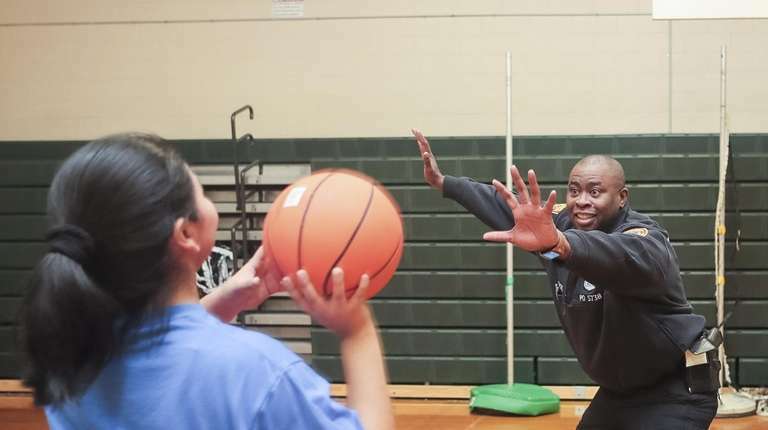 Groce, 45, transferred from the Sixth Precinct to the department's Community Relations Bureau in 2012 and became the Police Athletic League coordinator for Central Islip, Brentwood and Bay Shore. At the time of Groce's start, PAL had five active programs. After three years, Groce said he helped the number grow to 25 active athletic programs, including basketball, lacrosse and karate.